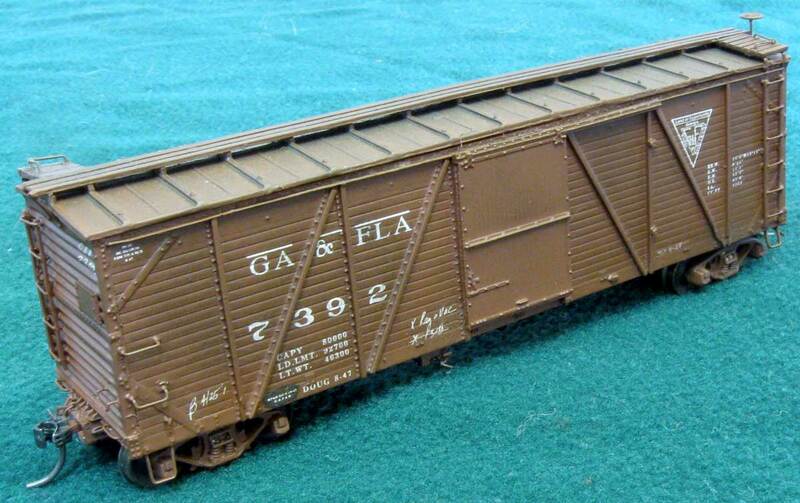 Al Brown steps in to show us his work on a Georgia & Florida box car. Georgia & Florida box car, number 7392, is Sunshine Models kit 39.18 with some details added in the construction process. In some cases, I didn’t have the right parts, so these were scratchbuilt. Photo from Eric Hansmann collection. The Georgia & Florida was a 400 mile railroad that had a number of connections with other lines in the southeast US. The 1943 ORER lists 248 cars in the 7246-7500 series. As per the Sunshine Models data sheet, the Ga&Fla purchased two sets of these Howe Truss cars and numbered in the 7000 and 8001 series. Cars in the 7000 series were bought in 1926, while the 8001 series cars were added the next year. The 8001 series cars had Dreadnaught ends. By late 1956, 238 cars in the 7246-7500 series remained in service. As I started building this car, I realized the ladders in the kit had the wrong rung spacing. Additionally, the brake step had the hole for the vertical brake staff in the wrong place. I didn’t have correct replacement parts on hand, so these were made from scratch. The ratchet and pawl for the vertical brake staff is a Precision Scale part. I used a set of Cal-Scale castings for the AB brake system component, but don’t remember why. Fine wire was installed to model the retainer release rods. I often pick up a few extra commercial parts when they are needed. Over time I’ve amassed a stash but they have been helpful in completing other projects. Tichy brake wheel and brake-step mounts were used to detail the B end of the car. The 1:1 cut lever is very strange and seems to work on the same principle as the Carmer hardware. But these parts don’t quite look exactly alike, nor is the mount the same. I jerry-rigged things to look more or less like the prototypes. I wanted to use a Free State Systems etched-metal Carmer cut lever because it’s more durable than anything I could make. The cut-lever mounting brackets are Hi-Tech air hose brackets. 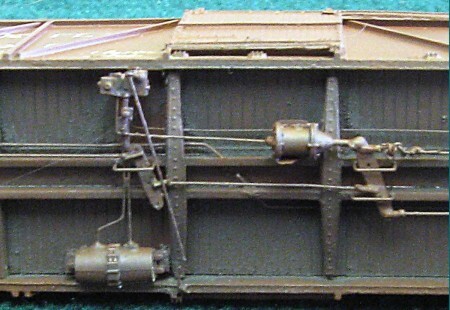 The Free State Systems etched parts were mounted backward to fit. 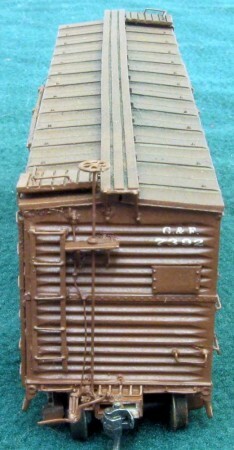 Scalecoat II Box Car Red paint was used to finish the model after construction. The decals came with the kit and weathering was done using Bragdon powders. These articles were helpful references. 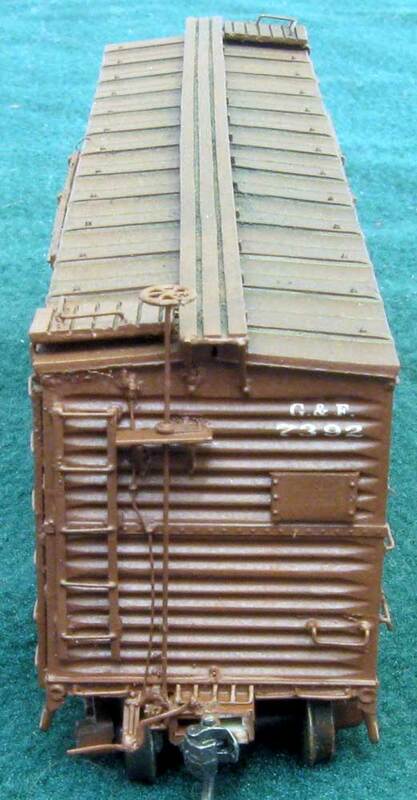 Thanks to Al Brown for sharing his work on a Sunshine Models resin kit. Questions and comments can be posted below. Please follow the instructions so your comment can be posted. All comments are reviewed and approved before they appear. To subscribe to this blog, enter your info for a comment and check the last box to notify of new posts by email. Very nice. Little upgrades sure make a big difference. Hi Al, beautiful model of an interesting road. I enjoyed your post very much. Stuff like this never gets old with me! What color did you paint the underbody? 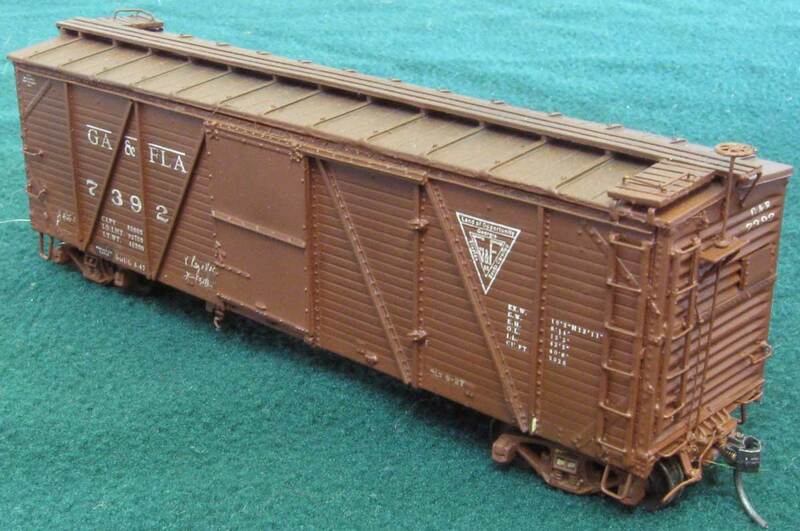 Love these Ya’ll Road composite boxcars. Nicely done Al! Super job.The brake rigging and other under body details are a Halmark.Too bad they did not show up on the Rutland.At least I have been unable to document any.Great work.Thanks for sharing.